Do not miss the opportunity to explore the beautiful Sierra de Tramuntana in Mallorca, located in the north of the island, very close to Cala Major and S'Arenal. Different villages are located at the Sierra de Tramuntana and they have become the most beautiful spots on the island. Green mountains, viewpoints with cliffs and crystal clear beaches are the reasons why the Sierra de Tramuntana is a special protected area, declared World Heritage Site. You can make tranquil journeys by car, motorcycle or bicycles and if you prefer, is also a perfect place for cycling or hiking in Mallorca. If you like this plan, you can also visit other reserves as the Puig del Galatzó. This mountain has species in different varieties and an extension of 200 meters to almost 1,000 meters above sea level. This is an ideal plan for children, youth and adults. Riding on a catamaran for a boat trip on Mallorca is a great idea. You can choose a boat with underwater vision or one route to dive. You will have the opportunity to see the impressive marine ecosystem of the Mediterranean Sea and you can even take a swim in incredible crystalline waters. 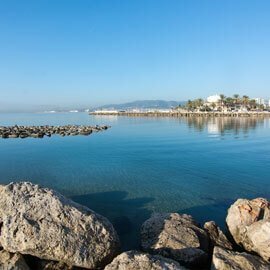 You can visit the archipelago of Cabrera in boats or visit the different bays of the island, such as the bay of Palma de Mallorca, very close to Cala Major and S'Arenal. This is a must plan! If you prefer a private boat route through Mallorca you will also have this option in the different nautical clubs. Do not forget to hire with time and know the schedules. This is an original and different activity to know the great natural beauty of Mallorca. 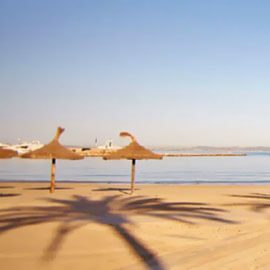 The city of Palma de Mallorca is an incredible place where you can practice a great variety of activities. For example, you will find an impressive historical center, full of small shops with much charm. The cobbled streets also feature some delicious restaurants. The visit to the city will also delight the children. While you rest watching the wonderful views, they will be able to play in the different parks, as the Parc de la Mar. Do not forget that in the center of Palma de Mallorca you will find shopping centers, the promenade and much more. The people of Mallorca know how to keep alive all the local fascinating traditions. One of the most fun traditions of Mallorca are the weekly markets that are held in all towns. In these typical markets are products of all types, but always local. For example, you can find there some gastronomic souvenirs, such as ensaimada, or sobrasada. Although you can also buy single pieces made by hand; Toys, antiques, crystals, jewelry ... A world to discover! Mallorca has architectural buildings of great cultural value, but also of great scenic value. An example of this are the medieval castles and walled houses that are found in different parts of the island. We recommend the excursion to the Bellver Castle, in Palma de Mallorca, which has circular shape and is unique in Spain. This imposing castle is located high in the city of Palma de Mallorca. In addition, there is a playground for your children, as well as a picnic area. The Soller Railway is a centennial train that crosses the Sierra de Tramuntana. Riding in your wagons, you will experience an activity that can only be done in Mallorca. You can leave from the station of Palma de Mallorca and finish the route in the town of Soller. You will cross stunning landscapes of pine, orange and sea. Palma Aquarium, located in Playa de Palma, is an amazing world that will fascinate adults and children. There are more than 1000 different marine species, located in a space that simulates the perfection of the ocean and also of the jungle. The best water parks in Spain are located in Mallorca. They are the perfect place to the children have fun and also the teenagers. Everyone looks for their favorite attraction! These getaways are even more memorable with family or friends. There are different shopping centers in Mallorca where buying clothes from the best known brands in Spain and the world and also find restaurants and playgrounds for children. Take advantage, and get the best bargains. 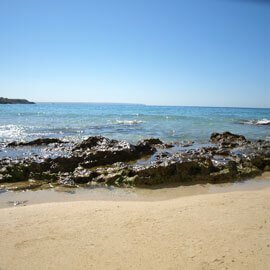 Plan in Mallorca everything you want to do on your trip and take advantage of every moment of the day in this wonderful enclave with special activities. Remember that Mallorca is the biggest of all the Balearic Islands and of course the best. You can make a list with all of your favorite excursions and activities. There is an ideal place for your holidays and this is Mallorca.